Some products may have special labeling requirements in the United States. 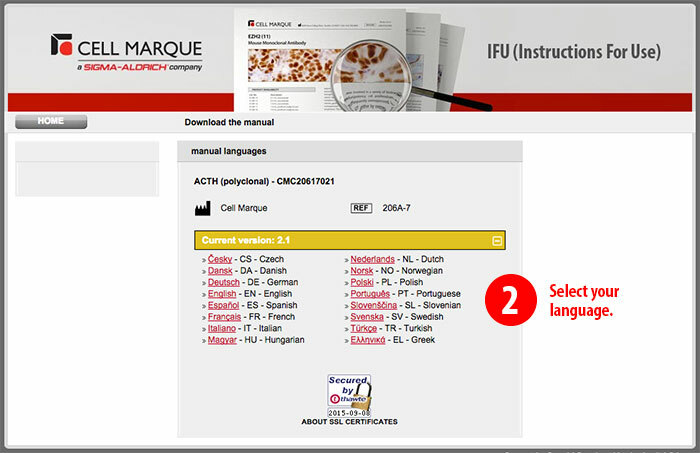 Note: Package Inserts with the prefix RUO or ASR are only available for download in English. 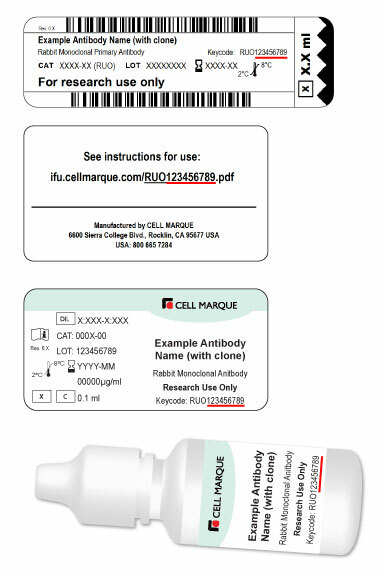 Keycodes are unique alphanumeric codes assigned to products which help identify the package insert that correspond with a particular product. Our keycodes consist of a three letter prefix followed by an eight or nine digit numeric code. They are designed to make package inserts available over the internet in a safe and error free way. Keycodes ensure that you get the right information for your particular product. Since package inserts can now be accessed electronically, there is less paper consumption which is good for the environment. Where do I find my keycode? 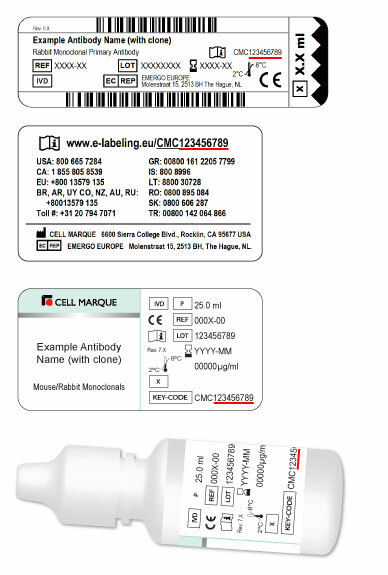 Keycodes are printed on product-holders and/or on product labels. What if I lost my keycode? What if my product doesn't have a keycode? If your product does not have a keycode, the package insert will not be available on the website. In that case, the package insert should have been delivered to you with the product. If this is not the case, contact the distributor from whom you purchased the product. How do I use my keycode? 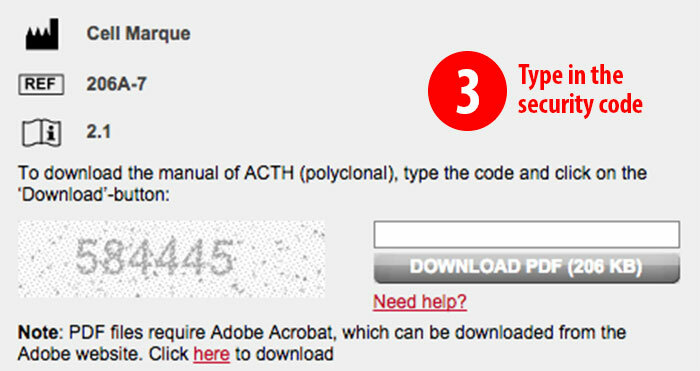 Use the "Download Package Insert" form in the right sidebar of this webpage to submit your keycode. *Note: Products with a keycode prefix of ASR or RUO are not available using this method. In your web browser's address bar, type the web address found on the product holder/label (e.g. 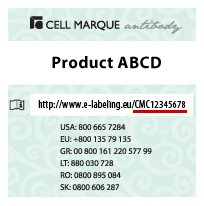 https://www.e-labeling.eu/CMC12345678) and press enter. *Note: U.S. customers may have two English options for certain products. In those cases, you should always select the "English US Market" option. On the next page, enter the numeric security code into the designated field. Click the download button. If prompted, click "Open" to view the document. If you have no access to the internet, please call the toll-free phone number (listed on the product holder) for your area. You will be answered in your own language, and the package insert can be sent by fax, e-mail or regular mail.